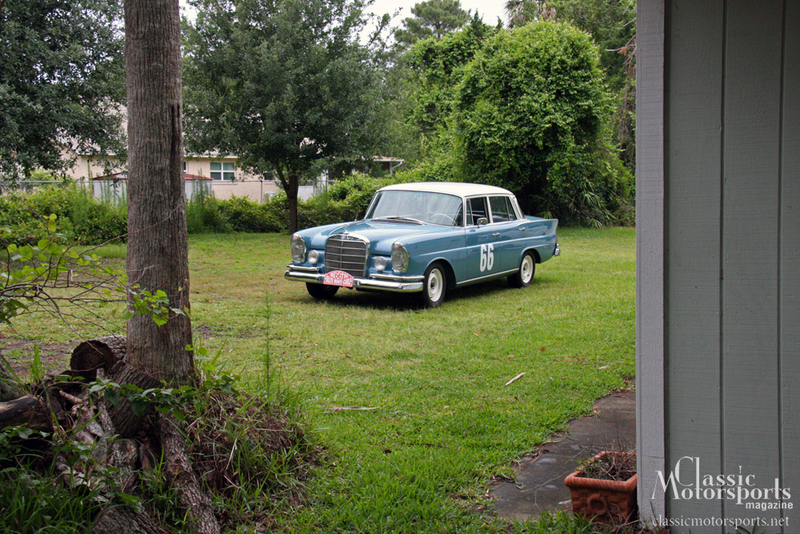 This Mercedes was looking great, but our differential was still howling like the undead. Though it's a complex piece, the process to rebuild this differential is straightforward. With the help of a shop manual, we replaced bushings, bearings and boots and set everything up correctly before we installed it into our car. We did take the entire rear end apart to make sure everything checked out okay. We installed new parts where needed. 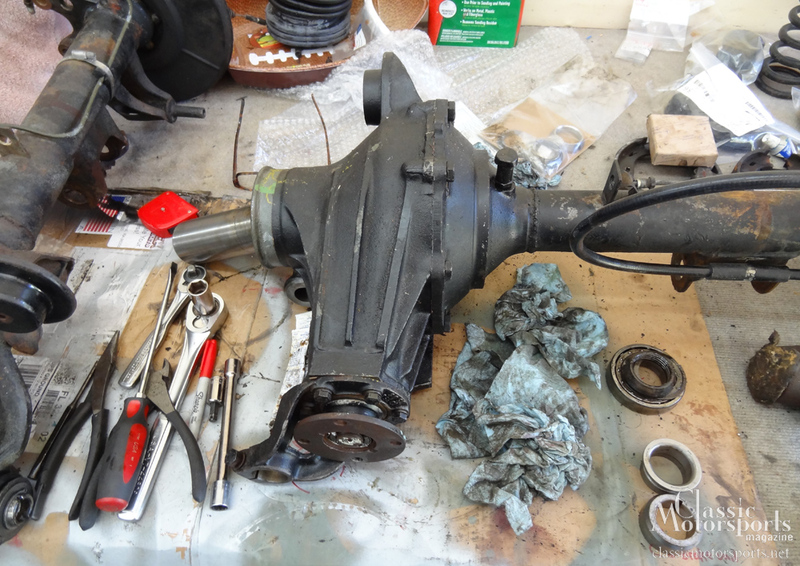 As we mentioned earlier, we obtained an entire differential assembly from a 1967 250SL that was headed to the scrap yard. We spotted it on our visit to the Mercedes-Benz Classic Center. They also sent us the bushings, boots and bearings needed to rebuild this differential before installing it into our car. They swore to us that the SL’s rear end would just bolt right into our W111 sedan. The advantages of this swap was to give us rear disc brakes and a better final drive ratio for highway driving. At the same time, we had our racing buddy Steve Eckerich build us one of his clutch-type limited slip units to install into the differential. Our earlier Rallycross experience had taught us that this car desperately needed a limited slip differential if we wanted any more off-road traction. On a rally or road trip, it is comforting to have a limited slip differential in case you find yourself off the paved road or in slippery conditions. It is much harder to get a car stuck with both rear wheels turning. After reconditioning what turned out to be a very healthy 250SL rear end, we made the swap. It was a true bolt in. The only difficulty we encountered was that the parking brake cables were a few inches longer than they needed to be. We neatly tucked and tie wrapped them out of the way and had no further problems. We were also worried that the switch from drum to disc brakes would both not be noticeable and give us master cylinder problems. We were wrong on both counts: The car went from having marginal brakes to having extremely good brakes, especially for a nearly 50-year old car. We had no bias issues or other master cylinder problems. We were very pleased. 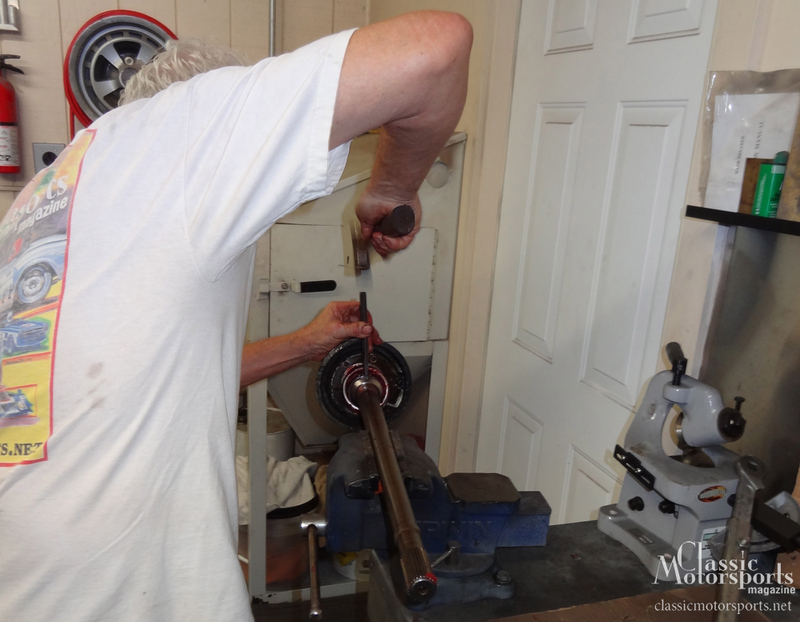 And through the process we solved two problems: unobtainable rear brake shoes and a horrible rear wheel bearing noise.